Is there any paperwork or document for the mechanical systems of 59 Barr Cres, Aurora, Ontario? I need more information about the property at 59 Barr Cres, Aurora, Ontario. How ist the neighborhood, location and nearby amenities for 59 Barr Cres, Aurora, Ontario? I have questions about the roof, foundation, insulations and mechanical issues of 59 Barr Cres, Aurora, Ontario? I need more information about property details. What's wrong with this house? Is this a short sale? Is there any maintenance for 59 Barr Cres, Aurora, Ontario? What is this property worth in today's market? What are "closing costs", and how much? What steps should I take when looking for a home loan? What price home can I afford? Is my credit good enough to buy this house? What are the best mortgage options for me? How flexible is the seller on the asking price? How low can I consider offering for 59 Barr Cres, Aurora, Ontario? This Cozy "Greenpark" 3 Bedroom, 3 Bath, 2-Storey Freehold Townhome Is Located In Highly Desirable Neighborhood In Aurora. 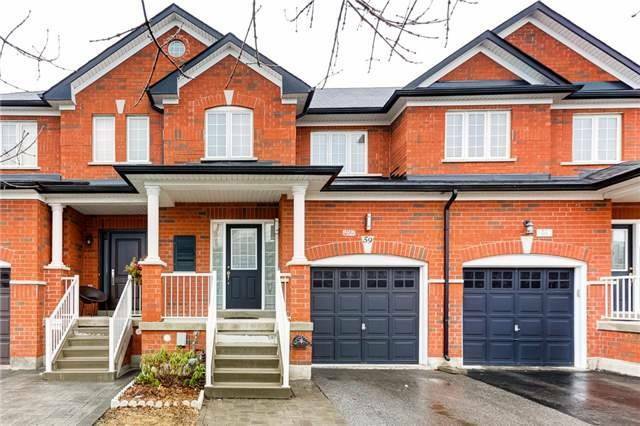 Open Concept Main Flr, Living/Dining W/Hardwood Floor, & Pot Lights, Oak Staircase, Eat-In Kitchen With S/S Appliances & W/O To Yard, Natural Gas Bbq, Lrg Master W/4-Pc Ensuite & W/I Closet, Garage Access To House & Backyard, Cold Rm, Furnace 2015, Air 2016, Gdo/C/Vac 2011, Water Filter 2016. Close To Hwy, School, Park, Shopping. S/S Kitchen Fridge, Stove, Dishwasher, Washer/Dryer, All Elfs, All Existing Window Coverings, Gdo/2 Remotes, C/Vac & Equip, Natural Gas Hook-Up & Bbq, Basement Fridge, Water Filter, Exercise Equipment, (Hot Water Tank Rental).